HTC has thrown another competitor into the ring of the low-to-midrange smartphone market with their HTC Desire 200, an entry-level device with a 3.5-inch screen. While not everybody is looking for the latest or the greatest (….or just don’t want to drop several hundred dollars for a top of the line phone), there’s still quite a market for something like this. Pricing and availability are still up in the air, but at least we’ve got a confirmation of the specifications behind this device. As we've said, it's definitely not trying to break any records and as we can see, it looks like it's carrying the specs of a device that was top of the game about two years ago. The only speculations that are yet to be revelead are priving, availability, and what version of Android the device will be running. 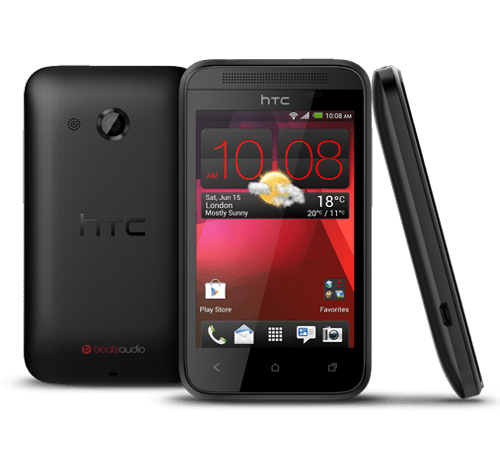 Our guess is that it will be Android 4.0, based just around the processor and internal memory that HTC has confirmed for the device. And while its definitely not trying to break any records, it’s a decent looking phone at (hopefully) a great price. HTC has been making it easier and more affordable for people of all demographics to get into Android and check it out for themselves. Stuck in 2011! And even at that, a relatively bleak 2011.